Vehicle location services are here! Meet RadioTrax. RadioTrax by Cognosos delivers real-time inventory location services to independent auctions via a new partnership with Auction Edge. Read on to learn more. 21 years ago I started my career in the auction business with the intention of building some fleet department software. Buzz Cotton felt strongly that understanding the business intimately was key to delivering the right type of solution. As such, my software development tasks were sidelined until I could get a feel for how the business functioned. My first job at an auto auction was checking in cars and working on the lot. This was in February. In Chicago. Global warming was barely even a thing back then, and it was a brutal Chicago winter. Checking in cars was part of the job, but finding them and getting them to the recon shop, in and out of storage areas, and lining them up for sale was also part of the job. When the lot was covered in snow, a Camry and a Taurus looked pretty darned similar. I searched high and low for solutions to make finding cars easier. RFID labels, big bar code stickers with long range readers, all sorts of solutions that fell short for one reason or another. Everything fell short for one reason or another. I am happy to tell you that the search for a solution is over. 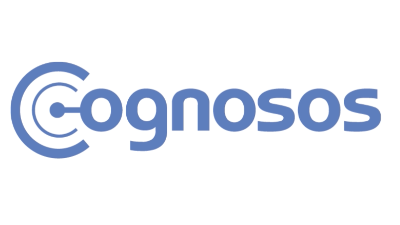 As we enter 2019, we are excited to announce that we have formed a strategic partnership with Cognosos, a company based in Atlanta. Cognosos offers an inventory tracking and intelligence solution, called RadioTrax, that is providing great returns for auctions like the McConkey Auction Group, Metro Auto Auction of Phoenix and Dallas, and San Antonio Auto Auction. Not only are the auctions saving money, but yard personnel are saving a bunch of time locating vehicles and getting them in the right place and consignors, buyers and even haulers have access to the RadioTrax app to help them quickly locate cars. Click here to find a one-page overview of Cognosos and RadioTrax. And if you wonder if it really works, watch the short video and listen to what Bob McConkey and Pat Simmons have to say about using RadioTrax. As you see in the ad that Bob put together and published in several industry publications, they believe in Cognosos enough to put their experience and, most importantly, the experience of auction attendees in print. Not only is it powerful but RadioTrax is the most affordable real-time inventory location and management solution offered in the automotive industry. If you are interested in learning more about this exciting solution from Cognosos, please click the link below, complete the form and a expert from Cognosos will be reaching out to you soon to answer your questions and introduce you to the many benefits of RadioTrax.